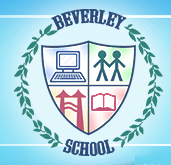 Beverley School is an all age specialist school for pupils who have an autistic spectrum condition. All pupils follow the National Curriculum and most will achieve external accreditation, including GCSE where possible, by the time they leave us. We admit some pupils from our nursery and some pupils may join us at other points throughout the key stages if there is a vacancy. Pupils also have the option to stay with us after they are 16 if it is felt to be appropriate and many of our pupils do follow that option.